This is a true tale of how three different dresses came to be. Once upon a time there was a young maiden who wished to marry her Prince Charming. She went shopping in the kingdom and found a beautiful gown, all chiffon and satin and lace. She felt so beautiful on her special day, just like the princess in the fairy tales. After the special day they rode off into the sunset, but unfortunately since this is real life, they didn't live happily ever after. (But that is another story.) One day about 28 years later the young maiden, now the mother of another young maiden, pulled out the lovely gown for her sweet daughter to wear on her wedding day. Alas, the dress was so outdated that they decided that the sweet daughter needed to start her own memories and purchase her own beautiful gown for her own special day. The young maiden, now much older wondered what to do with the beautiful gown. Since the sweet daughter would not be wearing it should she donate it to Goodwill? Should she dump it in the nearest dumpster? Lucky for her, she decided to not do either. 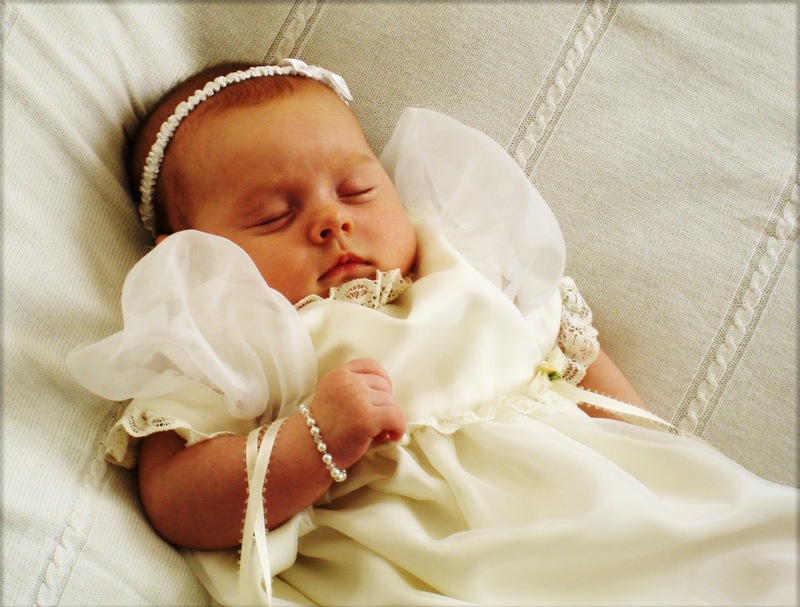 A year and a half after the Sweet daughter married her own Prince Charming she gave birth to her own sweet daughter. The now not so young maiden decided to take the beautiful gown and cut it down to make a beautiful blessing dress for the newest young maiden. The Not So Young Maiden cut the beautiful fabric that now had mellowed into a lovely ivory color. She sewed the fabric into a lovely dress that all the The Sweet Granddaughters could wear on their blessing days. She even left intact the long ruffle on the bottom. Now to date four Sweet Princesses (Granddaughters) have worn the lovely creation of the Not So Young Maiden. And this is how the Young Maiden (and all the young maidens in the story) finally was able to live happily ever after. This truly is a true story, not a fairy tale. Hope you enjoy the dresses as much as I had making them. What a lovley tale and beautiful dresser. 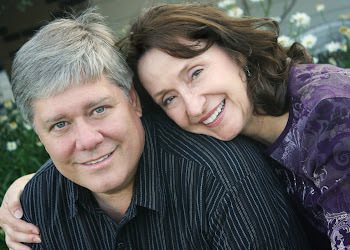 thank you for stopping by and commenting on my blogg. What a super sweet story! Those dresses are beautiful! Thanks for sharing at the Pomp Party! Hope to see you back next week! What a great way to use the wedding dress. The blessing dress is beautiful as are the Barbie dresses. I love that it came full circle and the BArbie dress is the same pattern as the original. Thanks Grace, they were fun to make. The Barbie Doll dresses were from a vintage pattern, since I am a vintage girl myself. Thanks Peggy, I think they are pretty cute as well. I enjoyed reading your tale about the dresses! 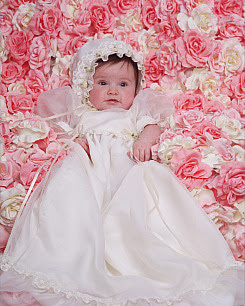 All of your granddaughters look so sweet and adorable in the dress that you made for them to wear. And the Barbie dresses are too cute! I bet they love hearing the story about their dolls' dresses! Thanks Peggy, that is so sweet of you. It was a labor of love. I am so excited about winning this book. I have sewn for most of my life, but never really designed my own, this will be so fun. Thanks Kathy. 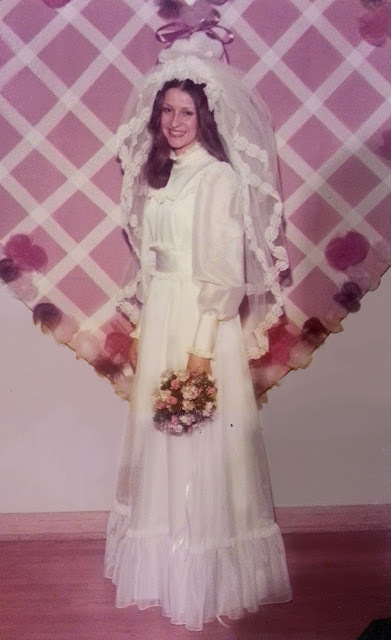 The dress was a labor of love and I even used the same lace. 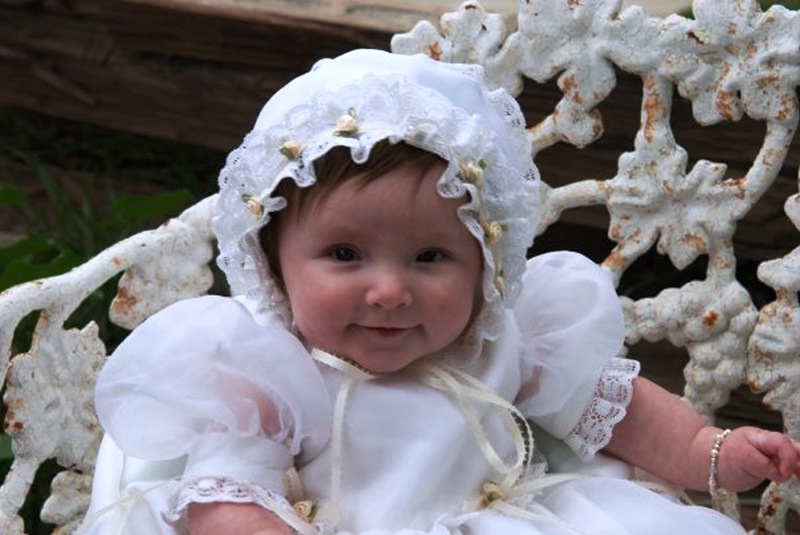 All my granddaughters looked so beautiful in the dress, but they all hated the bonnet! Hi Vikki, this is such a beautiful story! I'm sure the Christening gown will be passed down to your great grandchildren as well as the story. And the doll dresses too. Truly a labor of love. I'm so glad you posted this. I've pinned it to my "Just Because" board. Have a great day!